1961: In a January meeting at the Plateau Church of Christ a motion was made to establish a Christian school in the Mobile area. 1962: In May, C.H. McDonald made a motion that a Christian school be started, a board was selected, Incorporation completed, and enrollment begun. Actual operation began in September with 25 pupils in kindergarten and first grade. The Pleasant Valley Church of Christ served as the location for the school until 1972. 1963-64: C.C. Arquitt became principal and Superintendent. The school was expanded to the fourth grade and enrollment was 105. 1964-65: Charles H. McCrory was employed as Principal and fifth grade teacher upon the resignation of Mr. Arquitt. 1966-69: Billy Hilyer served as principal and Superintendent. In the fall of 1967 the 6th grade was added. 1969-70: Perry Lucas came to MCS and served a Principal and superintendent until the spring of 1974. 1971-72: The 7th grade was added with plans for an additional grade to be added each year until 12th grade. The portable buildings were used at the Pleasant Valley facility to accommodate the middle school grades. 1972-73: The school moved to its present location on Cottage Hill Road. The new campus consisted of the recently constructed elementary building and the portable buildings which had been moved from the Pleasant Valley location. The Student Council was formed. Mr. and Miss MCS and class favorites were selected. The school began scholastic basketball with several area private schools. 1973-74: John Hill, President of the Board, announced in March plans to sell interest bearing bonds in order to raise money for a new Jr./Sr. High school building. 1974-75: In June, Vaughn Duel (“Toby”) Luster, Jr., became Principal. In the fall, the high school building was completed as the school opened its 13th year. The PTFA hosted its first May Day fundraising event. The Booster Club was started. 1975-76: The Board of Directors began the Crossroads Campaign as a means to finance capital improvements at the school. The Board set a goal to raise $400,000 through this effort. 1976-77: On Feb. 13, groundbreaking ceremonies took place for the construction of a new gymnasium. On Oct. 17-24 MCS had its first Homecoming Week and game. The construction of a new cafeteria was begun. MCS graduated its first senior class. Robin Pittman was the Valedictorian and Patti Slay was Salutatorian. 1978-79: Lamar Harrison Football Field and Stadium were constructed. First State Championship in Football. 1981-82: Under a new administrative structure Sharon Donaldson became Principal and Frank Harbin became Superintendent. 1983-84: The Bookstore opened for business. 1984-85: The Harry Miller Band Room was built. 1985-86: L.A.C.E. (Ladies Advancing Christian Education) began as a support organization. The first chorus tour was organized. New administrators were announced. Mike Powell succeeded Frank Harbin as Superintendent and Rick Whittle assumed a new position as Business Manager with Sharon Donaldson remaining as Principal. Silver Celebration activities honored the school’s 25th year. 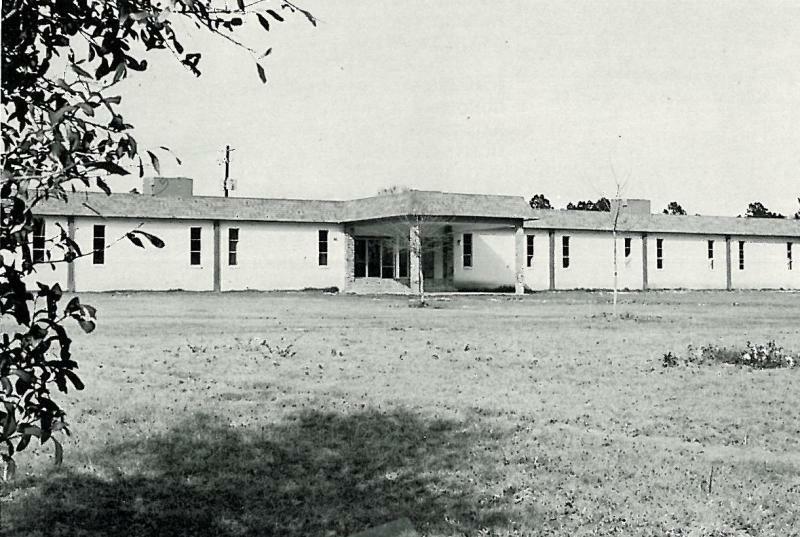 2000-01: Semmes Campus became independent school. New uniform adopted, gym air conditioned, baseball field lighted. 2001-02: 1st Blue Ribbon School Award. Robert T. (Tommy) Wasden became President. Drug Testing Policy instated. 2011-12: Celebrated school’s 50th Year with various activities (Alumni gatherings, 50th Dinner, Homecoming, Opening of time capsule, etc). Started on-campus Dual Enrollment for 10-12. Inducted Inaugural class into the MCS Athletic Hall of Fame. Elementary and secondary computer labs updated. New laptops purchased for all teachers. Renovated baseball field; Renamed Richardson Field.